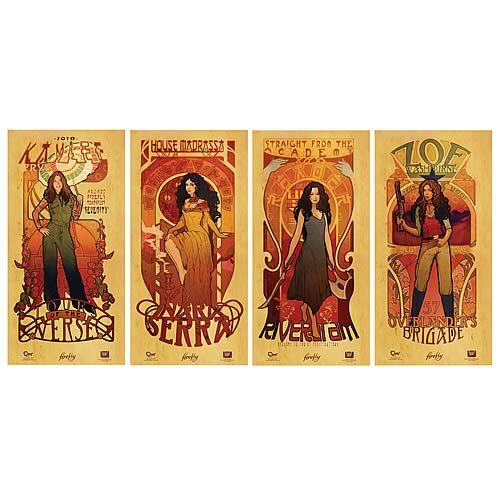 Make your home a bit more shiny with these great prints of the women of Firefly. The set of four is available for $28.99 at Entertainment Earth. Prefer the guys? QMX now has them available for pre-order for $34.99. Their estimated arrival is November 28, 2011, so you’ll be able to get them in time for the holidays!